Do you have to choose the orthodontist that your dentist refers you to? Will your dental insurance plan provide you with coverage if you want to choose a different orthodontist for you or your family? What if you’ve just moved to a new, unfamiliar area and you are in need of both a dentist and an orthodontist? The short answer to most of these questions is to simply give the friendly orthodontic office of Rogers & Andrews Orthodontics a call and we will walk you through each step of the process. If you’d like a more complete and thorough answer in your search for the right orthodontist, we’ve decided to compose a blog post on that exact topic, as the title of today’s post no doubt already gave away! So, if you’d like to learn more about what we offer at our Augusta orthodontic clinic, in addition to gleaning a few practical tips to help your way, by all means keep reading! Before we dive in, let’s get something out of the way: we have a horse in this race. Yes, yes, we are biased, given that we are orthodontists ourselves! But in all sincerity, we want to be a helpful resource for folks who could use it. Whether you end up walking through the doors of Rogers & Andrews Orthodontics is not the issue, as much as we would love to serve you. Irrespective of if you live in Augusta, Thomson, or elsewhere, we hope you’ll find some value here! While this might sound a bit silly at first glance, you might be surprised by how many times we hear of dentists providing “ad hoc” orthodontic treatments. This should be avoided, as the two fields are related but are far from synonymous. For our part, Dr. Andrews graduated from the University of South Carolina, graduated near the top of his class when graduating from the Medical University of South Carolina College of Dental Medicine, before he specialized in orthodontics at the Medical College of Georgia. As if that weren’t enough, he then took the extra step to become Board Certified by the American Board of Orthodontics — a distinction many trustworthy orthodontists are without! This indicates that the orthodontist you are considering (hopefully it’s Dr. Andrews! ), has gone above and beyond the status quo, even among esteemed orthodontists. How Does The Office Look? Ideally, the local orthodontist you are considering has a few images of their office published on their website. You want to be sure that the orthodontic clinic in your consideration is clean and professional. If they impress you by going above and beyond what you are used, that’s a pretty great sign! Rogers & Andrews Orthodontics provides two useful resources for our prospective patients to consider while making a decision. You can view our office and take the tour of our facilities at your convenience. We hope that you will be pleased with what you find! While we aren’t saying that there are no recently-graduated orthodontists who are worth their salt out there (everyone has to start somewhere), we would argue that finding an orthodontist with experience is never a bad idea. Dr. Andrews, for the record, has over a decade of combined education and practical experience in the dental and orthodontic fields. In this case, it means we are able to offer the best of both worlds when it comes to experience and innovative orthodontic treatments! Does The Orthodontist Offer Invisalign®? There are more than a few orthodontists who offer Invisalign® aligners, which features a system that combines the advanced 3D computer graphics technology with the century-old science of orthodontics. Invisalign® Aligners incrementally move your teeth to the desired position in small steps. What’s more, they are hardly noticeable on patients who have them. All in all, they are an amazing way to straighten teeth without braces! The fact remains, however, that only an orthodontist who has been thoroughly trained and certified by Align Technology is able to diagnose and treat while utilizing Invisalign®. While it remains an incredible, innovative option, the Invisalign® System is not right for every adult. That’s why you need an Invisalign® Certified Orthodontist, such as Dr. Andrews, to help navigate these questions on your behalf. Being overly reliant on review platforms like Yelp, Urbanspoon, or even Google Reviews can get you into trouble when shopping for certain kinds of services or products, but review aggregates are still quite useful overall. It’s never a bad idea to check out the online reputation of the orthodontist you are considering. Consider searching for their practice’s name alongside search terms like “review” or “complaints” to get a clear picture. Look for a similar pattern in online reviews. A handful of negative reviews might be due to difficult patient/customer expectations in a tough industry, whereas a pattern of them could be a red flag of sorts. Ask your friends if they have an orthodontist they can trust — then check out their smiles! Browse the orthodontist-in-question’s website to make sure they offer the treatment you are looking for (if you know what you need at this point). 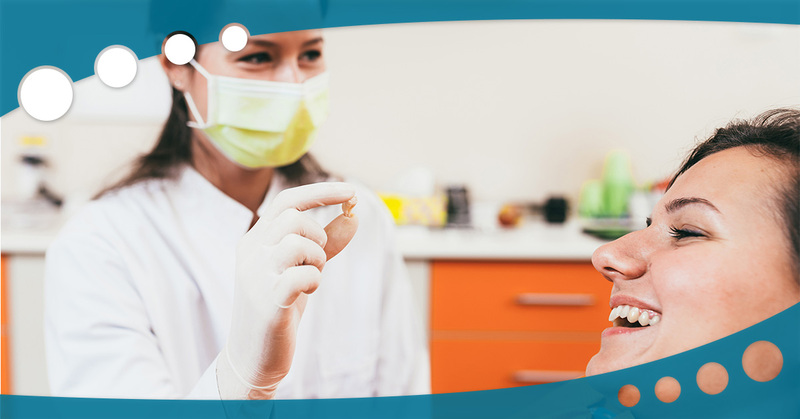 If you need help with insurance and financing, make sure the orthodontist’s office is aware of that need so you can determine if they are going to be able to accommodate your needs. Ask about follow-up care and what the average treatment plan might look like. While every patient has unique needs, there should be a formalized plan in place to make sure all treatment received is effective. Don’t hesitate to reach out to us if you are ready to receive orthodontic treatment in Augusta and Thomson, Georgia! We’ve been providing handmade smiles since 1973!